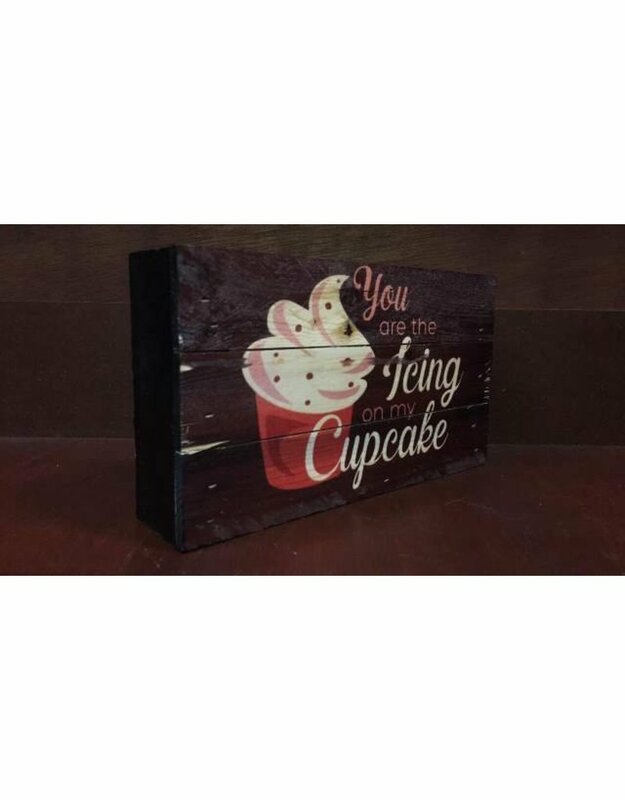 Made here in the U.S., this box sign is precisely cut, framed, painted, and then four-color printed. 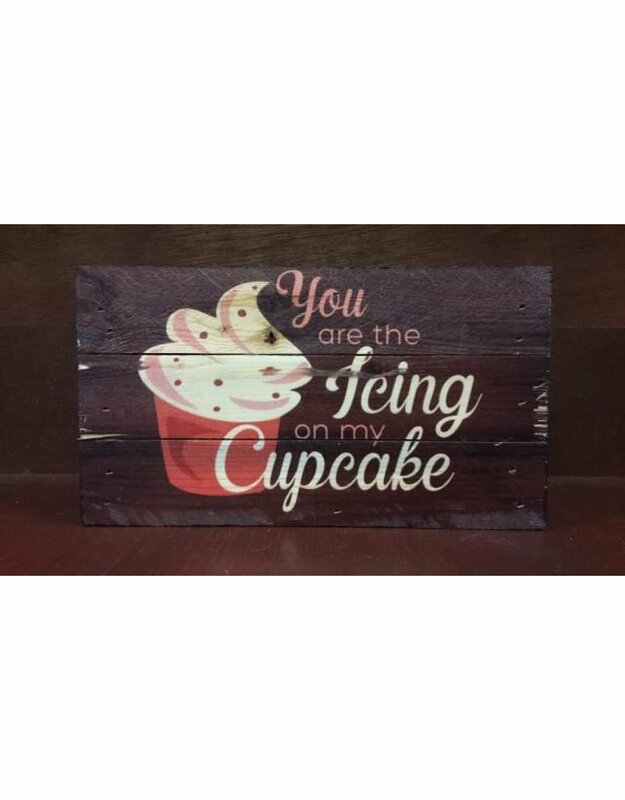 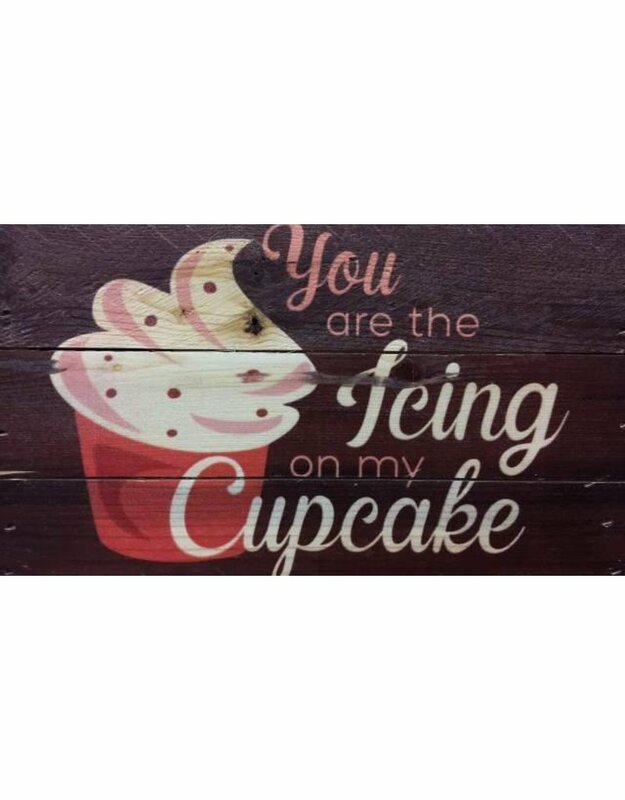 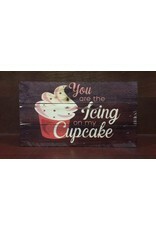 On top of a dark red background, pink and white font spell out, "You are the icing on my cupcake," accented with a cupcake. 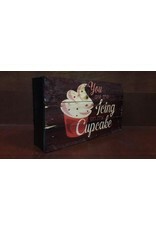 It has an authentic, primitive look with rich, vibrant colors. 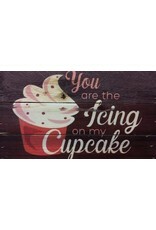 Measures 8" wide by 1.75" deep by 4.5" tall.